Bio - Evan W. Carr, Ph.D. I was born and raised in upstate NY, around what many call the "southern tier." ​After graduating from Vestal Senior High School in 2007, I made the trek to Ithaca, NY, where I started my B.S. at Cornell University. 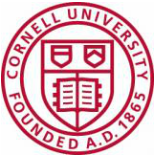 At Cornell, I majored in Marketing, Strategy, and Info Systems in the business program (as part of the School of Hotel Administration), where I eventually received my B.S. in 2011. After completing requirements for my business major (and throughout many of my marketing courses), I became more and more interested in the psychology behind social decision making. This led me to my first (of several) classes and lab positions in the Cornell Psychology Department and Human Development Department. 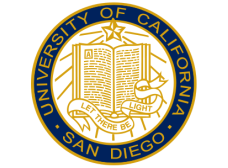 From there, I knew I wanted to do research full-time, so I started a PhD at University of California, San Diego (UCSD) in the interdisciplinary program between Psychology and Cognitive Science. ​ I began as a graduate student with Piotr Winkielman in 2011 (lab page here), where we researched topics related to emotion, embodiment, social cognition, and decision making. I received my M.A. in June 2013 and my Ph.D. in August 2016, both in Psychology & Cognitive Science. ​Starting September 2016, I'll be a Postdoctoral Researcher in the Management Department at Columbia Business School. For more details, feel free to check out my CV & Publications page.